This time you’ll have to lead your national team to the top in the 2015 Copa America of Chile. You can play four different game modes with 12 teams present at the 2015 Copa America, or compete with six other invited teams. 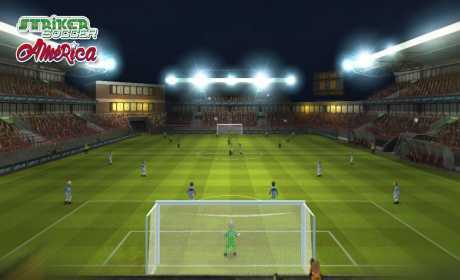 The game includes the best of the previous versions, which have accumulated more than 30 million downloads, adding new ways because of the America 2015 Cup of Chile. You can choose your favorite team between 12 teams participating in the 2015 Copa America of Chile: Argentina, Bolivia, Brazil, Chile, Colombia, Ecuador, Jamaica, Mexico, Paraguay, Peru, Uruguay and Venezuela. And you also have the ability to play with other invited teams like USA, Canada, Costa Rica, Guatemala, Honduras and Panama. Play Friendlies or make your team champion of America in the competitions. Enjoy the challenge mode where you must go completing up to 10 challenges in your road to the title of champion of a modest selection. Another novelty is the ONLINE EVENTS MODE where you can choose a team from a real match of the Copa America and accumulate points to get great prizes. During the course of the Copa America you can choose one of the teams highlight match of the day and have the opportunity to accumulate points for your favorite team. Play as many matches as possible and lead the ranking to get great prizes. Also, if your chosen team wins the event, prizes are multiplied by 2! ✔ Record and share your game highlights with Kamcord! ✔ Set up the best tactics for every match. You have up to 7 different available configurations. ✔ Three levels of difficulty. ✔ Multiplayer Events where you compete with your favorite team against all users of the game to get fantastic prizes. During the Copa America results in real matches will result on the events. ✔ Format and calendars similar to 2015 Copa America of Chile: a competition with 12 teams participating in league and knockout phase, another 18 American teams also league and knockout phase and last a league of 18 teams with round matches. ✔ Earn coins to buy power-ups for your teams and players. ✔ Simple controls for both experienced players and novice. 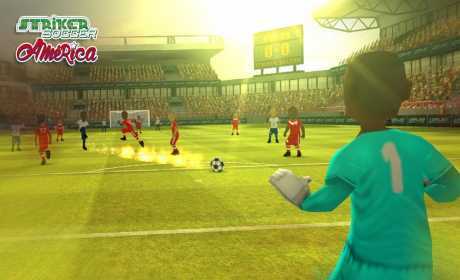 ✔ A game that comes alive with vibrant graphics and 3D animations.